Fines and monetary damages account for the majority of legal sanctions across the whole spectrum of legal governance. Money is, in key respects, the primary tool law has to achieve compliance. Yet money has largely been ignored by social analyses of law, and especially by social theory. The Currency of Justice examines the differing rationalities, aims and assumptions built into money’s deployment in diverse legal fields and sanctions. This raises major questions about the extent to which money appears as an abstract universal or whether it takes on more particular meanings when deployed in various areas of law. Indeed, money may be unique in that it can take on the meanings of punishment, compensation, denunciation or regulation. The Currency of Justice examines the implications of the ‘monetization of justice’ as life is increasingly regulated through this single medium. Money not only links diverse domains of law; it also links legal sanctions to other monetary techniques which govern everyday life. Like these, the concern with monetary sanctions is not who pays, but that money is paid. Money is perhaps the only form of legal sanction where the burden need not be borne by the wrongdoer. 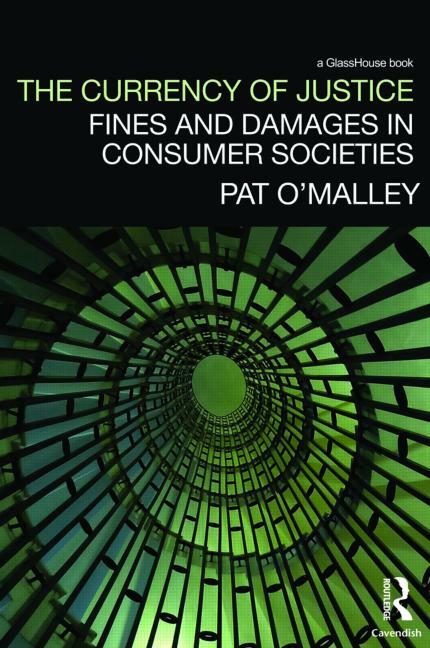 In this respect, this book explores the view that contemporary governance is less concerned with disciplining individuals and more concerned with regulating distributions and flows of behaviours and the harms and costs linked with these.